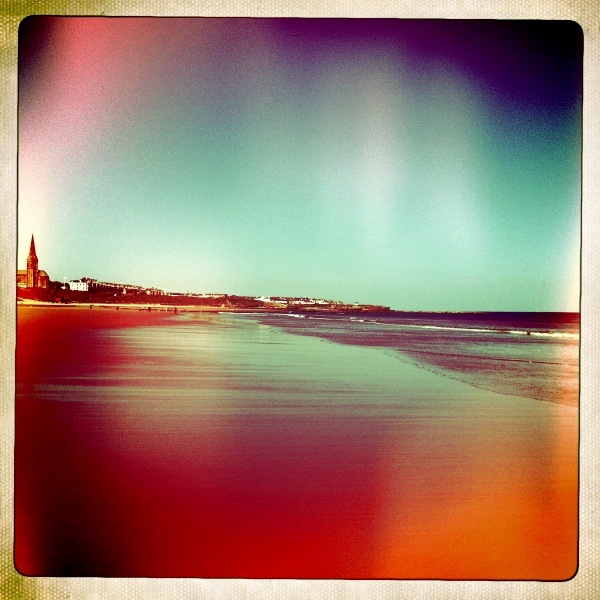 I took this photo of Tynemouth Longsands last year with the Hipstamatic app. I like the way the sky and sand are enhanced by the glorious colours. When a beautiful beach is at the end of your street it is often easy to take it for granted. Over the last few months I have taken to returning home via the sea front, if its a lovely day I open the windows to let in the ozone. At night I love to see the moon on the water and on windy days the white horses racing to the shore.